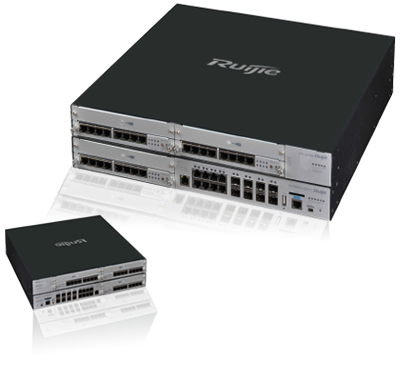 Ruijie RG-RSR30-X Series pushes the frontier scaling the router design according to the user requirements to minimize user investment. The RG-RSR30-X-SPU10 V1.5 Router offer 9 fixed 1000BASE-T ports and 8 1000BASE-X ports to satisfy the requirements of the customer scenarios. The series guarantees users with highly reliable and stable performance. The RG-RSR30-X Series fully supports Ruijie’s VCPU, REF and X-Flow technologies to deliver full protection against traffic attack and guaranteed multiservice deployment with advanced QoS. Supported by the powerful scalability and configurability, the RG-RSR30-X supports multiple interfaces and built-in multi-service features. Built-in with a range of integrated multiservice features covering BGP, IPsec, H-QoS and multicasting, the RG-RSR30-X Routers are readily available to adapt to various deployment environments. The RG-RSR30-X Router Series supports business operation and network construction with its featured innovative design, high availability, high performance, multiservice, robust security, hot swapping and hot standby features, effectively enhancing the network values while minimizing the network construction costs. Integrated device for simplifying network deployment, management, and maintenance. RSR30-X employs a multi-core platform and supports full-service processing. All service functions are implemented by software. The functions can be added flexibly based on service requirements. The costs for multiple service cards and licenses are saved. The X-Flow technology ensures no performance loss of added services. With the non-blocking switching architecture and the industry-leading multi-core processor, the RG-RSR30-X Series adopts Ruijie’s unique VCPU and multithreading technologies to achieve isolation of data forwarding plane and protocol control plane, as well as load balancing among the cores. In addition, it allows demand-based resource allocation for processing cores. When the device is processing protocols and control packets, the system can allocate more resources to the respective processing core. In the case of handling an increased load of packet forwarding, the related processing core can be allocated with more resources to complete the task. The series thereby realizes easy resource management and control. The series supports control plane CPU protection, distributed and multi-level packet recognition and QoS mechanism. It also supports customized packet policy management on CPU. The RG-RSR30-X Router Series adopts the reliable and stable RGOS operating system that features complete modularization, openness and robust security. Complete modularization: The greatest advantage of modular operating system lies in the respective independence of different features and processing systems to ensure the mutual isolation of failures, significantly increasing the system stability. In addition, the complete modularization boosts the development and testing efficiency of the new features without affecting existing ones so as to accelerate the development of new features and technologies. Open system: The Hardware Abstraction Layer of RGOS allows connection with different devices through the respective hardware drivers. 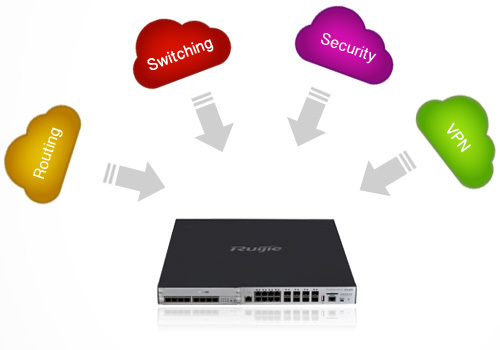 Currently, the RGOS operating system has been integrated with all Ruijie routers and switches, and this integration is about to extend to wireless, storage, security and other product lines. RGOS also features POSIX (Portable Operating System Interface), which is an international standard interface allowing operating system core to dispatch and communicate with various POSIX-compliant modules. 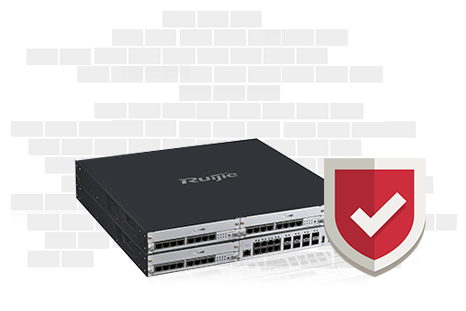 Robust security: Ruijie RGOS guarantees network security from the operating system end by an extensive range of technologies. Such include RGOS traffic management, protection against attach. These technologies enhance stable operation in complicated scenarios. Features such as NAT, BGP, IPsec, H-QoS and multicasting are readily available. Users do not need to purchase additional software license or service module, thereby maximizing cost savings. The Series supports built-in flow visualization. With the international standard Internet Protocol Flow Information Export (IPFIX) technology and up to 1:1 sampling, the Series achieves 24/7 network traffic monitoring to timely discover abnormal traffics and failure risks, ensuring network health and reliable operation. Adopting Ruijie’s patented X-Flow technology, the Series can perform traffic sampling without affecting the performance of the router. VPN features such as IPsec, GRE and L2TP are ready to facilitate the mobile broadband private network construction of enterprises using 3G/4G. The Series provides strong processing capacity. With high-performance and flexible QoS, the Series achieves refined management and control of network traffic. It offers queue scheduling, congestion avoidance, congestion management, traffic monitoring, traffic shaping, priority labeling, etc. The Series precisely guarantees bandwidth, latency, jitter and packet loss rate of different services. It satisfies “service partitioning” for various users and services. The Series also supports up to 5 levels of H-QoS features for uplink and downlink, enabling QoS deployment with high performance and centralized management. The Series adopts Ruijie’s unique REF, a high-speed packet forwarding technology. A high-speed forwarding table can be generated prior to packet forwarding. The system can hence directly process packet forwarding based on the table. 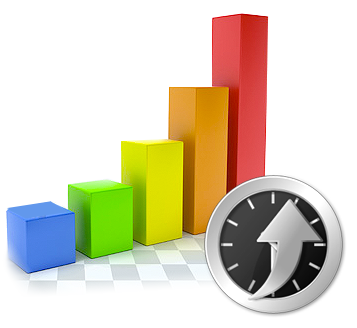 It avoids going through the data link and network layers so as to boost the forwarding efficiency. 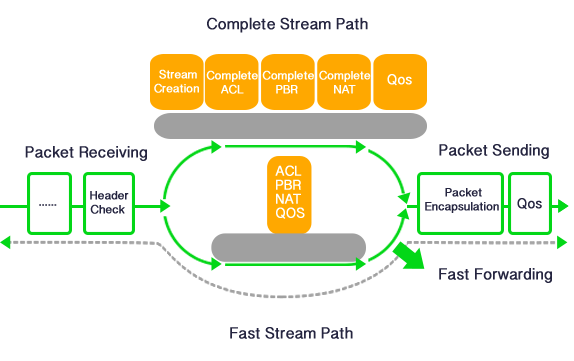 Through the X-Flow technology, the forwarding performance basically will not be affected even when services such as QoS, ACL, NAT and PBR are enabled on the processing plane. IPv4 static routing and various dynamic routing protocols are supported in order to meet different networking requirements. Additionally, the Series enables the policy routing feature which can flexibly control and dispatch network traffic in order to meet routing demands in the financial industry, government, enterprises, etc. The advanced X-Flow and fast-forwarding technologies together with leading features such as GR, FRR and BFD improve the convergence mechanism of the traditional routing protocols to achieve fast convergence of large-scale networks. Modular software design: adopt full modular design to significantly lower the coupling correlation of each functional module and enhance software stability. Wide selection of backup mechanisms: support Virtual Router Redundancy Protocol (VRRP) and integrates with Bidirectional Forwarding Detection/Device Link Detection Protocol (BFD/DLDP) to implement VRRP switchover. Additionally, link backup and the routing backup are supported. 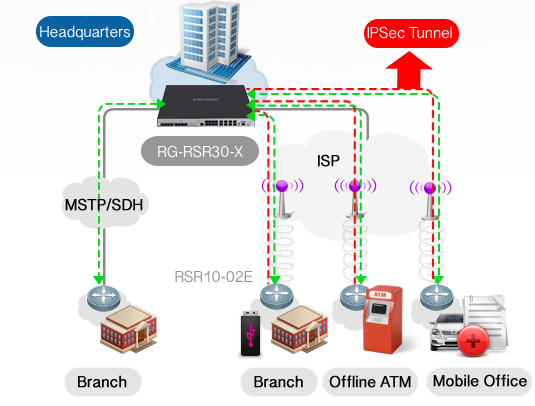 Unified RGOS operating system: All RSR series routers use the same RGOS operating system for easy maintenance. The Series adopts Ruijie’s unique VPN solution to achieve centralized VPN configuration. 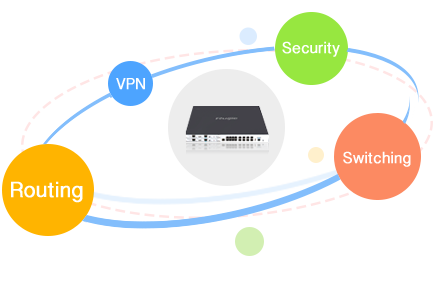 It enables zero configuration for access, VPN differentiation configuration and automatic negotiation deployment. The solution hence supports VPN deployment of massive branches with centralized remote maintenance. 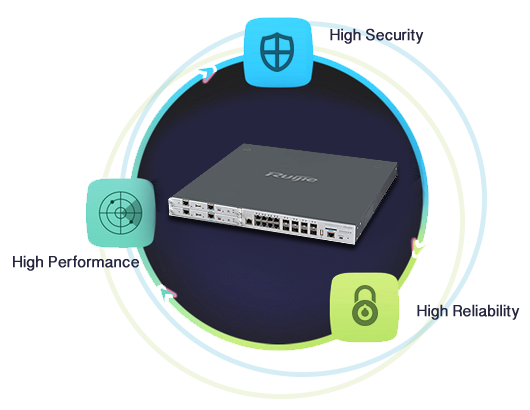 The RG-RSR30-X Series is specifically designed for IP MAN, enterprise gateway or to be deployed at the convergence layer in various large-scale IP networks. Featuring high availability, outstanding performance, multiservice, superior security, hot-swapping, and hot backup, the Series fully supports the service operation of industrial and enterprise users and the construction of bearer networks, effectively enhancing network values and reducing implementation costs. • The RG-RSR30-X can be deployed as the gateway of campuses, enterprises, vocational schools and private schools that serve less than 5000 users. • The remote VPN can support 500 users.